Derby County boss Frank Lampard has recently dismissed speculation linking him with a move back to Chelsea as manager. The 40-year old is currently the strong favourite for the role at Stamford Bridge, with current manager Maurizio Sarri coming under major scrutiny in recent times after a 6-0 thrashing at Manchester City on Sunday. The former England midfielder is bound to be a popular choice amongst the Chelsea fans – he may not have the greatest amount of experience, but he represented Chelsea over 650 times in his career. 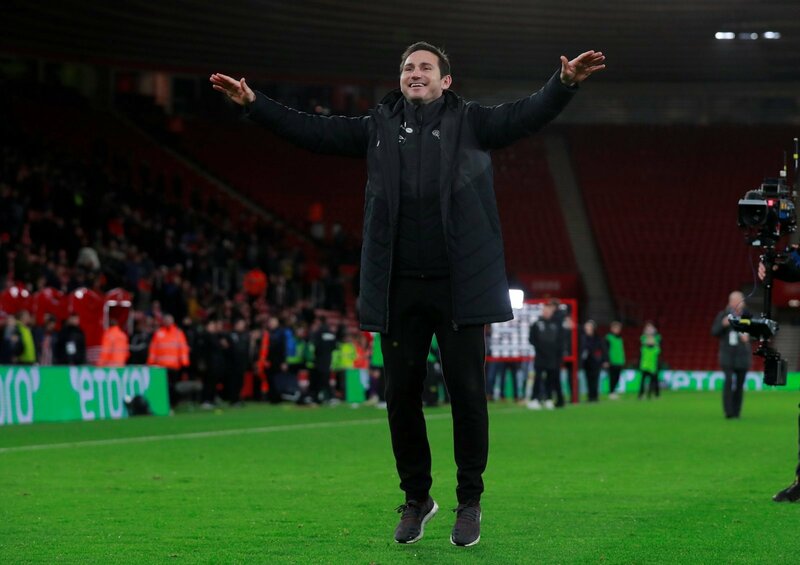 It’s a statement that Derby fans are bound to love and breathe a sigh of relief over – Lampard has been a revelation at Pride Park since his appointment in the summer, with the Rams well in and amongst the promotion mixer ahead of a trip to bottom side Ipswich on Wednesday. Steve McClaren that’s how you bat off speculation. Exactly, and I don’t like it. No need. What about his answer was so good? Didn’t say too much different to what McClaren was saying at the start?